Vitamin C benefits the body in many diverse ways. However, a deficiency of Vitamin C is known to cause a disease called scurvy which, without treatment can lead to death. Many consider Vitamin C to be the grandfather of all anti-oxidants. The health benefits of Vitamin C include decreased oxidative stress, improved cellular electron flow, and improved synthesis of collagen, an essential component of blood vessels, ligaments, tendons and bones, and improving general physiological function. It protects against immune system deficiencies, heart disease and eye disease. It supports skin elasticity, prevents and treats scurvy, lowers hypertension and assists in controlling the symptoms of asthma. According to experts, Vitamin C is one of the most effective and safest supplements, and Liposomal Vitamin C now improves the way your body processes this supplement. Vitamin C, also known as L-ascorbic acid is a water-soluble vitamin found in various foods and is also a dietary supplement. It is a potent antioxidant that protects your body from the damaging effects of free radicals and has also been shown to regenerate other antioxidants within the body. Our bodies require Vitamin C for the biosynthesis of collagen, which a component of connective tissue and contributes to wound healing. Your body also needs it for the biosynthesis of L-Carnitine which transports fatty acids from the blood into the mitochondria to be used as energy. Furthermore, Vitamin C is required for the biosynthesis of various neurotransmitters, thereby contributing to cognitive function. Unlike most mammals, humans have lost their ability to produce Vitamin C. Therefore you have to obtain the Vitamin C your body needs from external sources. As a result, one of the foremost challenges is selecting a supplement that provides Vitamin C in a form that your body can absorb efficiently. Your body typically only absorbs a small percentage of the L-ascorbic acid contained in most Vitamin C tablets and powder supplements and some estimate absorption to be well below 20%. Also, the body does not tolerate high doses of regular oral Vitamin C tablets and powder supplements well, which consequently can even cause intestinal distress. Scientists have developed a new technology called liposomal encapsulation, which increases the absorption of nutrients into the body. 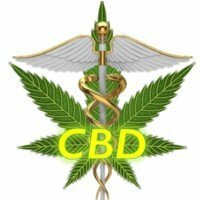 This technology forms the basis of Liposomal Vitamin C and research shows that this is one of the most effective ways to supplement with Vitamin C.
A liposome is a nano-sized sphere or vesicle made from a phospholipid, in many cases phosphatidylcholine, the same substance found in our cell membranes. Liposomal encapsulation is a process that fills these bubbles with hydrophobic or hydrophilic supplements such as Vitamin C. Liposomal encapsulation provides a highly effective method of bypassing the destructive elements of the gastric system and as a result aids delivery of the encapsulated nutrient to cells and tissues. 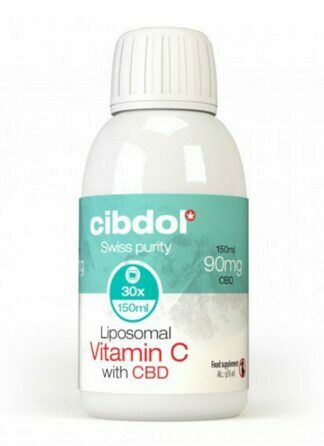 Liposomal Vitamin C benefits are genuinely astonishing. Scientific studies have proven that liposome encapsulated Vitamin C is more bio-available than regular forms of Vitamin C because it transports the vitamin more efficiently into the bloodstream. Also, it increases the blood concentration of Vitamin C to significantly higher levels than what is achieved using other forms of oral Vitamin C tablets or powder supplements. Liposomal Vitamin C hasn’t been shown to cause any digestive problems, even at high dosages, which is in stark contrast to other oral supplements which do cause gastrointestinal discomfort, especially at higher dosages. Ascorbic acid was encapsulated with high efficiency inside liposomes. In this form, its stability was enhanced compared to that in free aqueous solution, and particularly in the presence of a number of factors widespread in foods, which normally lead to its rapid degradation. The new findings of this investigation were that the oral delivery of Vitamin C encapsulated in liposomes: (1) produced circulating concentrations of Vitamin C greater than those elicited by oral delivery of unencapsulated Vitamin C but less than those following intravenous Vitamin C administration and (2) provided protection from ischemia-reperfusion that was similar to the protection provided by oral unencapsulated Vitamin C and intravenous Vitamin C administrations. …Vitamin C has been shown to decrease oxidative stress and, in some instances, improve physiological function in adult humans. Intravenous administration of Vitamin C has been shown to decrease oxidative stress and, in some instances, improve physiological function in adult humans. Considering the health benefits of Vitamin C, scientific studies have proved that liposomal encapsulation does indeed improve absorption and increase the blood concentration of Vitamin C to significantly higher levels. It is one of the most efficient and effective ways to supplement with Vitamin C.